Canvas tarpaulins are one of the most durable tarps on the market today. These eco-friendly canvas covers are water resistant and mildew resistant. 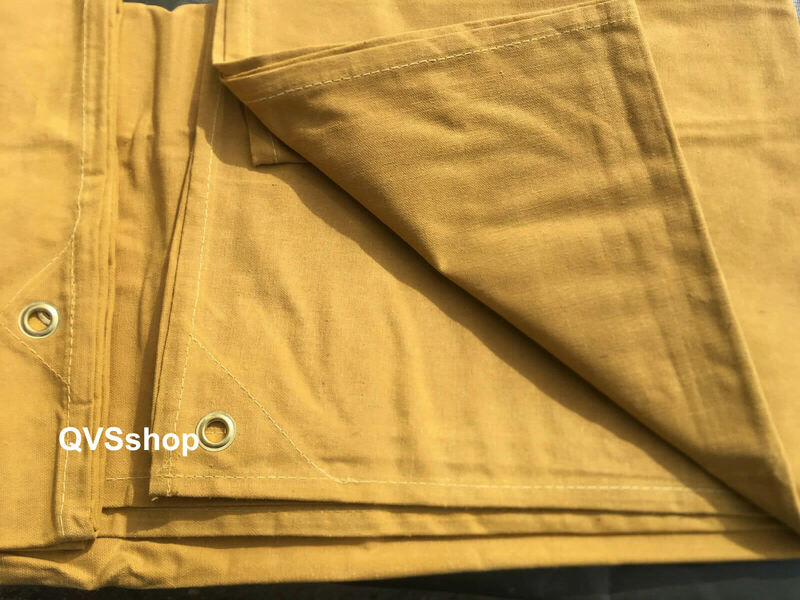 This specific range of tan coloured canvas tarps are heavy weight 18 ounce per square yard after proofing, this equates to approx. 540 grams per square metre - the higher the number, the heavier and more durable the fabric. These canvas sheets are incredibly durable and are suitable for many uses including agricultural and farming use, log stores and more. The classic look and feel of the canvas is favoured by many customers and its strength and weight are suitable for heavy duty purposes. 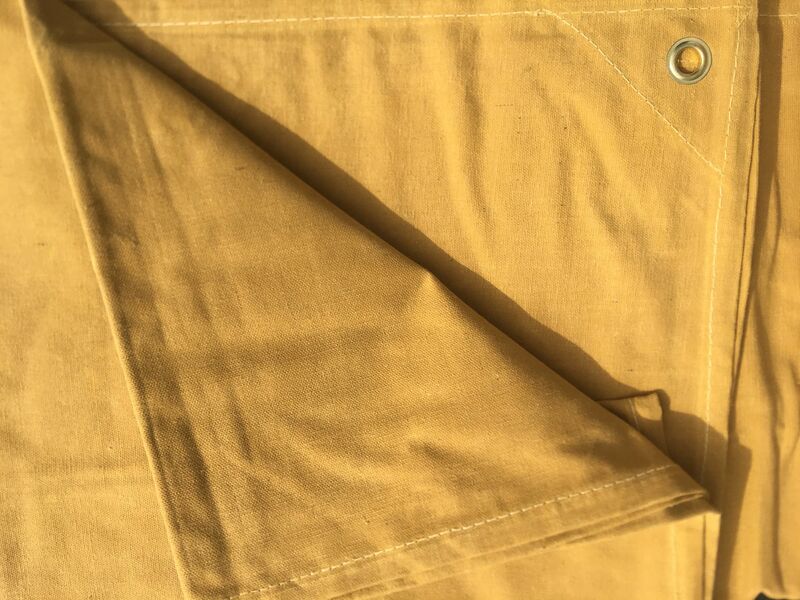 A canvas tarp construction consists of woven cotton duck, a natural fabric. 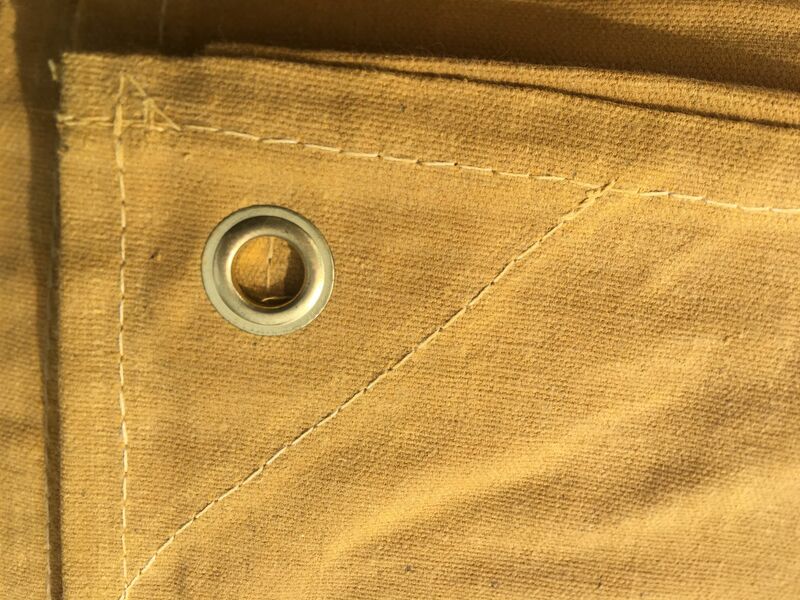 It has double-stitched hems which contain rust-resistant eyelets. 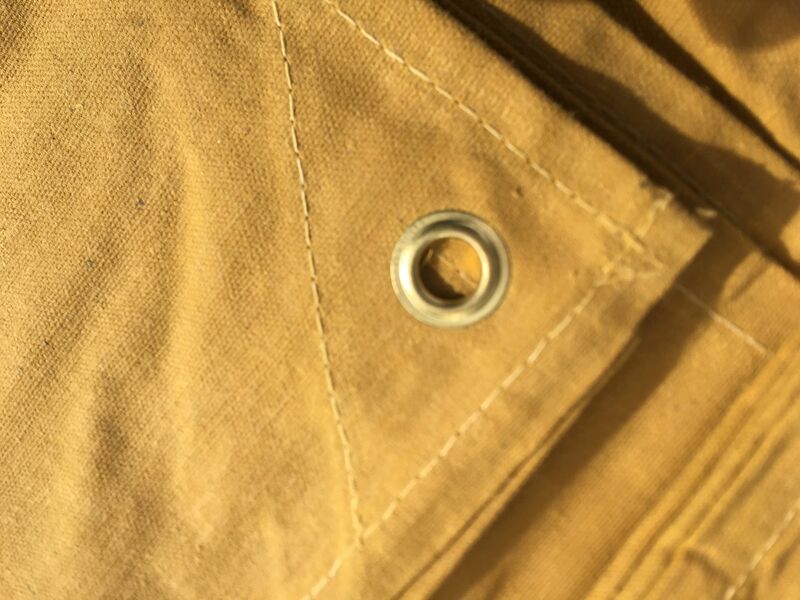 The fabric is breathable, which makes it useful for a wide variety of jobs. The canvas sheets come pre-waxed but over time it will need to be applied again. Re-waxing is a simple process and specialist tools can be purchased. All sizes listed are approximate industry standard 'cut sizes' of material before being made into the finished product. Please be aware that the 'finished size' could be up to 9" (22cm) shorter on both sides to allow for hems and seams in the finishing process. Please note that the actual cut size measurement is printed on the outside of each tarpaulin near one of the corner. *Canvas tarpaulins are wax-treated to make them water resistant. This does not mean that the sheets are waterproof, and they will require re-proofing after wet weather exposure to keep their water resistant properties. Suitable spray waxes can be purchased from most DIY and home hardware stores. *These tarps are sold with a warranty to be free from defects at the time of purchase. It is therefore imperative that you check your product before it is used for the first time. Due to weather conditions and the many different applications tarpaulins can be put to, we are unable to provide any additional guarantees.